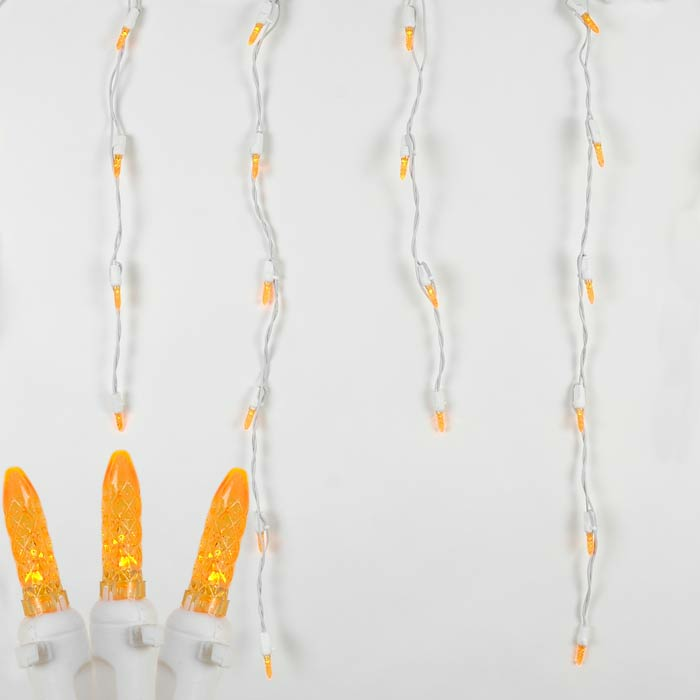 Orange and amber LED icicle lights available on green or white wire. 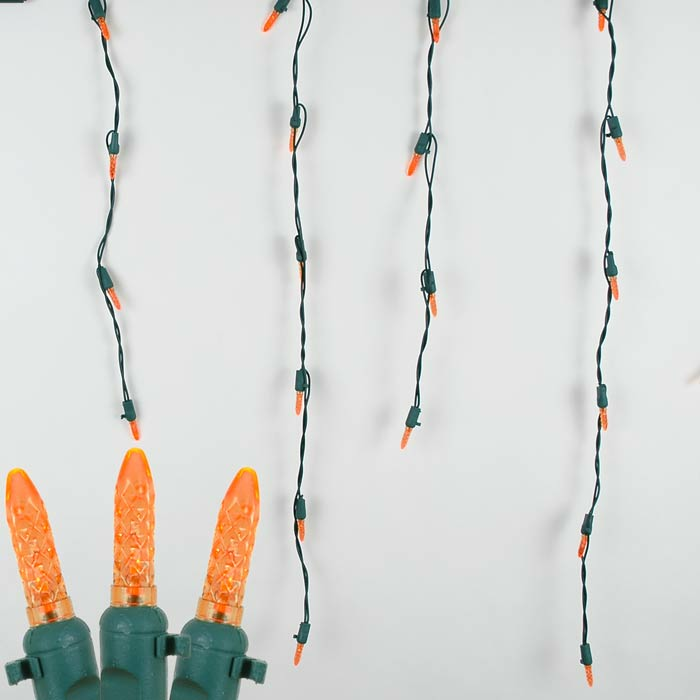 Each commercial grade orange/amber icicle lights set is 15 feet has 30 long drops and has a clip to hold the bulbs in a downward direction. UL Listed for indoor and outdoor use. String up to 14 sets (210 feet) using End-To-End connections.